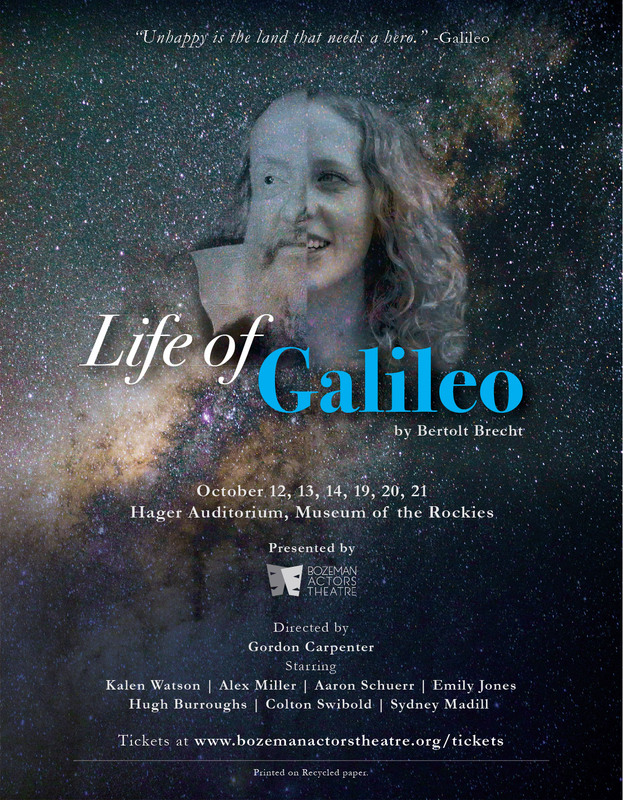 In this masterpiece by the great 20th-century dramatist Bertolt Brecht, the famous Renaissance scientist Galileo Galilei engages in a brutal struggle for freedom from authoritarian dogma. Unable to resist an appetite for scientific investigation, Galileo comes into conflict with the Church and must publicly recant, though in private the genius who unleashed revolutionary ideas on the nature of the universe continues to work. Join a special discussion with MSU scholars after Friday and Saturday performances. Shows run October 12, 13, 14, 19, 20, 21 at 7:30 p.m. on Fridays and Saturdays and 2 p.m. on Sundays. 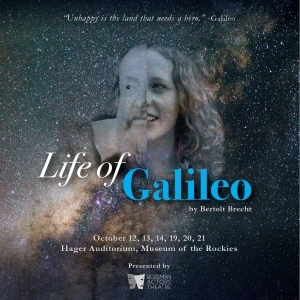 Tickets are $20 for general admission and $10 for students (with ID), available at https://www.bozemanactorstheatre.org/tickets and at the door.